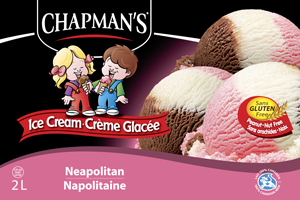 A great ice cream is about wholesome ingredients and commitment to quality. 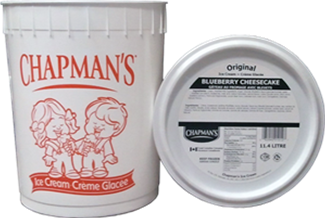 At Chapman's we start with fresh cream, from Ontario farms. 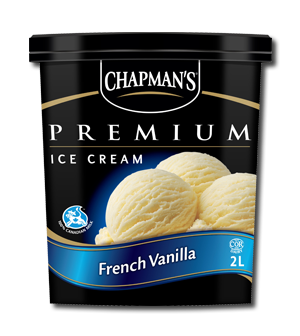 Other milk ingredients such as skim milk powder, whey powder and whey protein concentrate are added to increase the level of milk proteins (modified milk ingredients) needed to produce a good quality, smooth textured ice cream. Liquid sugar is blended in to sweeten and to increase the amount of solids in the mix. 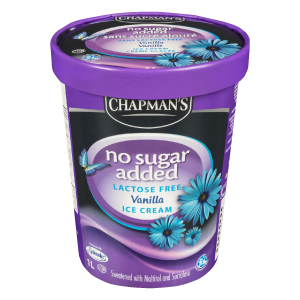 Liquid glucose is added to help soften the finished ice cream and add slight 'chewiness' to the texture. Cocoa powder is added to the chocolate mixes at this point. Stabilizers, are added to help break up the milk fat in the cream and evenly spread it throughout the mix and control how the product freezes. All of these ingredients are carefully blended together using a high shear mixer for a smooth texture. This mix is then pasteurized to kill any bacteria that may be in the cream or other raw materials. The pasteurized mix is also homogenized to help break up the milk fat into many small bubbles. 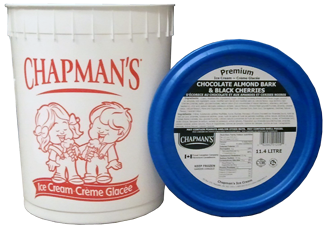 Our process ensures the smooth, finished ice cream that Chapman's is known for. 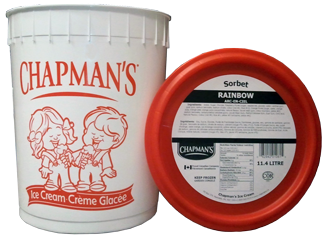 The ice cream mix is held in an aging tank at 4°C (40°F) to allow it to mature. During this process we check to verify that the correct amount of fat and dissolved solids are in the mix in addition to verifying that it contains no bacteria. During the holding time, the fat in the mix becomes less stable and networks develop between the small fat droplets. 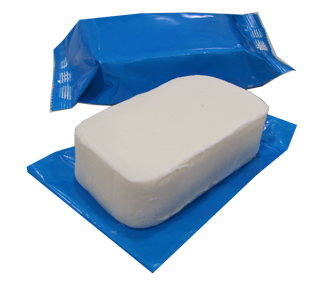 The gum becomes fully saturated with water and well dispersed. These physical changes allow for the best possible result when the mix is whipped and frozen. 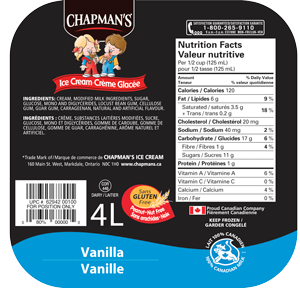 With the mix quality checked, our wonderful flavours (vanilla extract, peppermint oil, French vanilla base, etc.) are added depending on what's required for the finished ice cream. If colours (such as beet-root extract or turmeric extract) are required they are also added at this point. 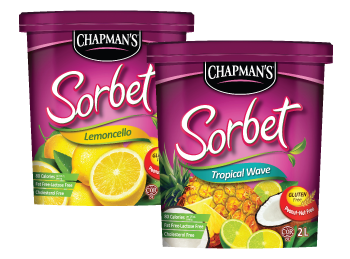 Once thoroughly blended, this flavoured mix is ready to be pumped into the balance tanks ahead of the production line. The cold mix goes into a continuous freezer. This freezer churns and whips the mix to freeze the milk while air is incorporated. 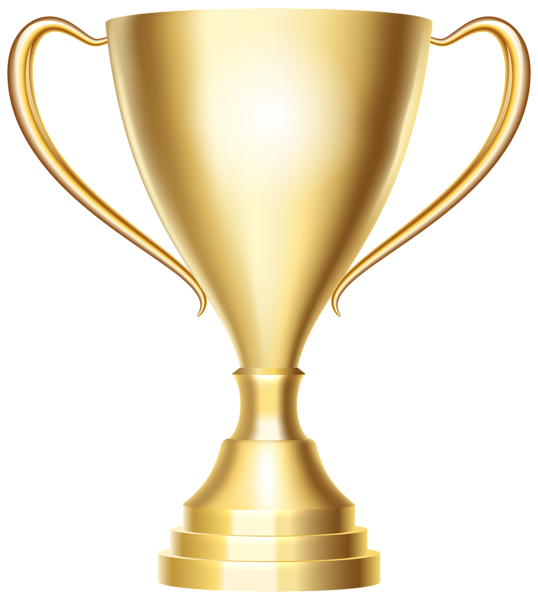 The amount of air pumped in, known as overrun, depends on the specific ice cream recipe. 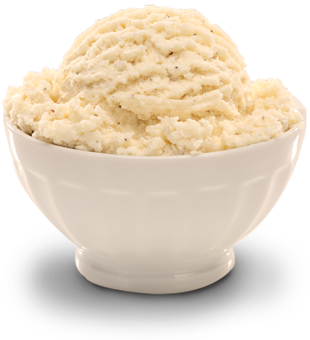 If a mix is frozen without any overrun the result is a solid icy block that cannot be scooped and will have a gritty ice texture. 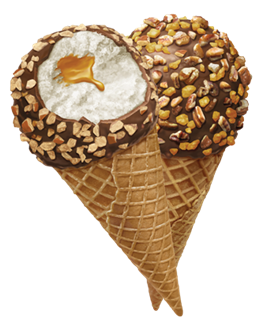 The ice cream that comes out of the continuous freezer has a texture of "soft serve" ice cream. Much of the milk is frozen but the ice cream is still not finished. We're known for our generous inclusions; what that means is we add lots of the good stuff like nuts, candy pieces, cookie dough, fruit preparations and a variety of other additions. The ice cream is passed through a fruit feeder that adds the pieces and then blends them in. The possible combinations of inclusions are just about endless! Ripples or ribbons of caramel, butterscotch, chocolate, and raspberry are the last thing added. A device called a ripple spinner distributes the ripples throughout the ice cream. Now that all of the ice cream, pieces, and ribbons are together, we fill the containers. 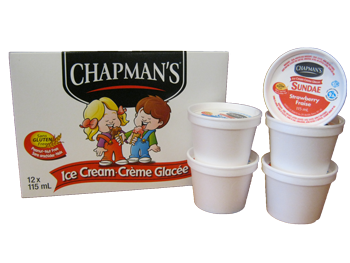 The process from extruding the soft ice cream to the finished package entering a hardening tunnel takes only 2-3 minutes so that the ice cream has no chance to start melting. 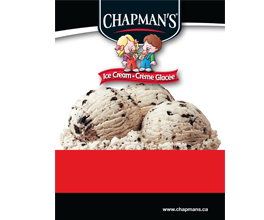 Our packaged soft ice cream moves through a blast-freezing tunnel for about 2½ hours. This allows the ice cream to finish freezing. 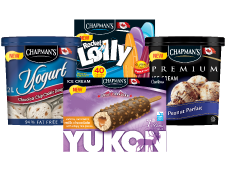 The finished package is then bundled & built into huge skids of product and moved into a storage freezer to await shipment to the store and eventually your freezer. 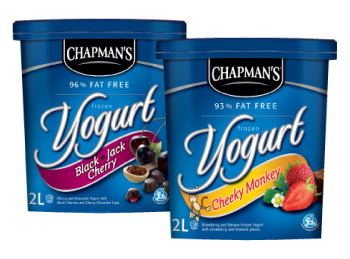 At each stage our ice cream and yogurt is sampled, tasted, and tested to ensure that the flavour is just right and that there are generous amounts of ribbons and inclusions in each tub. Samples are also tested for the presence of any harmful bacteria. Until samples are proven to be free of these organisms, the product is not released for sale. 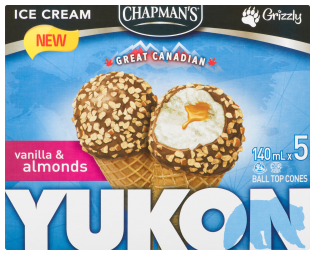 All of our over 100 flavours are then shipped across Canada to your local grocery store. 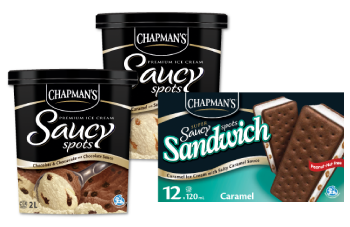 Chapman's Ice Cream has a 100% satisfaction guarantee policy. 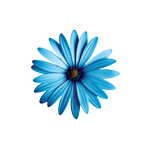 If our products don't meet your expectations, regardless of the reason, we will replace it! If you have questions about our process, don't hesitate to contact us.